He is such an amazing, tough little guy. He sits and holds his arm out when we change the dressings twice a day and doesn’t cry even though I can feel his body tensing in my arms. The bright redness at the top and bottom of his arm is starting to fade, however the worst area just above and below his elbow still looks really bad. I know it has only been 48 hours since it happened, I just want my little boy to be better and not in pain. You don’t have to spend much time with Ru to find out that he never stops moving – he is very busy. Running through the house, throwing and kicking balls, climbing, riding one of the bumper cars, pushing the shopping cart around in circles…that is the norm for him. Yesterday he wanted to be held most of the day or have my mom or I within reach at every moment. My parents spent most of the day here and I worked with occasional breaks to hold him for a few minutes. 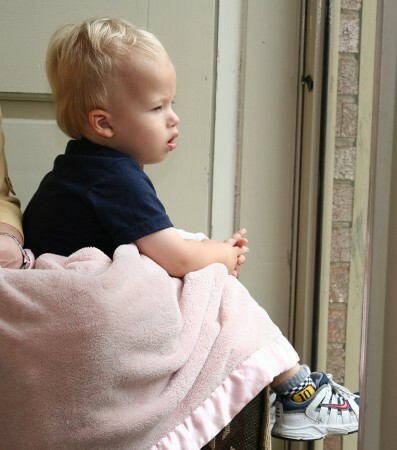 He was happiest if he was outside or sitting by the front door watching for buses. 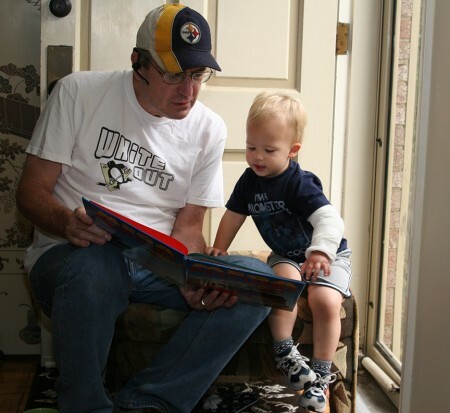 At some point this week the Mega Rescuers book made it out of Juliana’s room – it’s a big book filled with pictures and descriptions of rescue vehicles and was one of Juliana’s favorites when she was a toddler. Ru found many opportunities yesterday for people to read it to him. My dad provided some entertainment for him by doing some tree trimming. 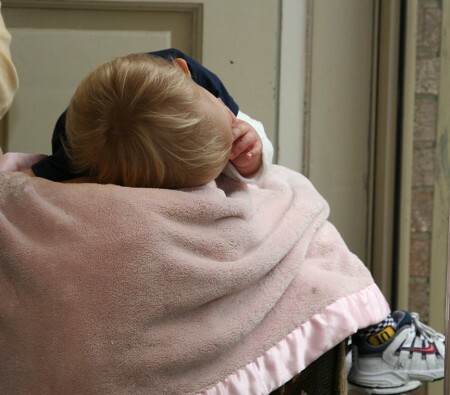 Right at nap time our grass was being cut so we let him stay up to watch – he was captivated and yet so sleepy. Waiting for Juliana’s bus was one of the highlights of the day. He asked about her and Wyatt throughout the day. Other than being ultra-clingy and not eating much he seems to be doing ok. We are giving him pain medication at regular intervals to minimize his discomfort. 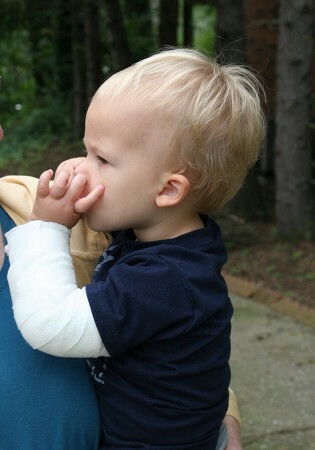 He isn’t fighting the medicine or trying to remove the bandage from his arm. We talk about taking care of his arm so it will be all better and he nods in agreement. I think he is stronger than the adults. 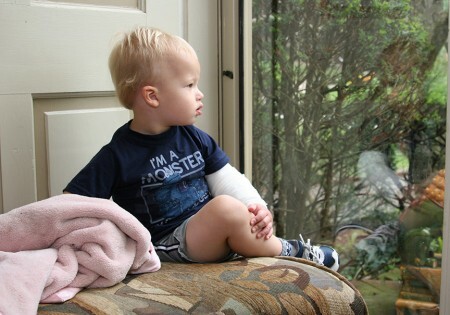 We go back to the Dr on Monday, hopefully his arm continues to improve between now and then. My heart hurts when I think about Ru. But at least you have your folks to help you through. I couldn’t help but think about Heather seeing Brenner with his chest open and 14 machines keeping him alive… and she had to go through it all alone. (With Steve of course, but no other family to help). I’m so glad you have back up. He’s in my prayers. What a trooper…continued thoughts & prayers for him.